The Fujifilm Tiara ix 1010 MRC is a compact camera for the APS film system. 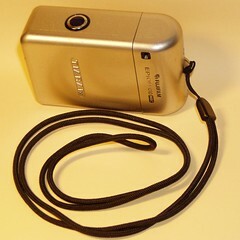 The small camera's body is designed as its own case. The camera is switched on by pulling that case-body open. 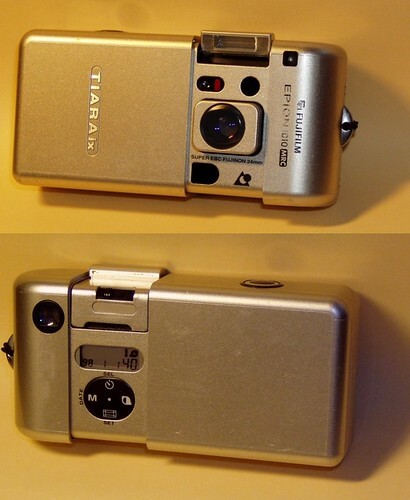 When opened that way its design is reminiscent of the older Fujifilm Tiara II, a 35mm compact camera.